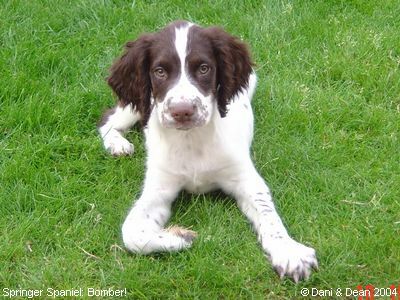 Bomber is just 13 weeks old when this photo was taken, and has been with his new owners for a week. It looks like he's just discovered a paw, and has been having a chew at it! 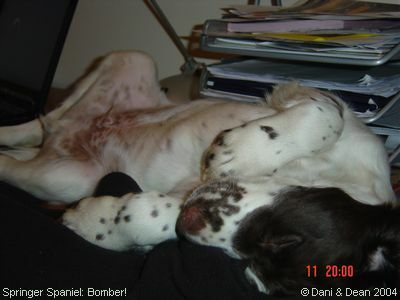 It's a rough, tough life as a Springer Spaniel pup, so after a hectic workout, a fellow just has to take a nap!